As a Red Cross volunteer, Jackie Speciale (left) helps victims of a condominium fire. When Jackie Speciale first joined her family’s manufacturing business, she had a background in horticulture — which means she had a lot to learn in her new role as senior manager of purchasing, finance and human resources. She earned a Bachelor of Arts in Business Administration from Columbia College and then a Master of Business Administration at Aurora University’s Woodstock Center. The factors that influenced her decision about AU were not just professional but also personal. Her classmates at the Woodstock Center included professionals from different sectors — banking, health care, automotive, insurance, manufacturing, public safety, public administration and entrepreneurship — and she now has a built-in network of colleagues in McHenry County, where she lives. The strong streak of volunteerism in Speciale’s life also has benefited from the self-assurance she gained in her classes. 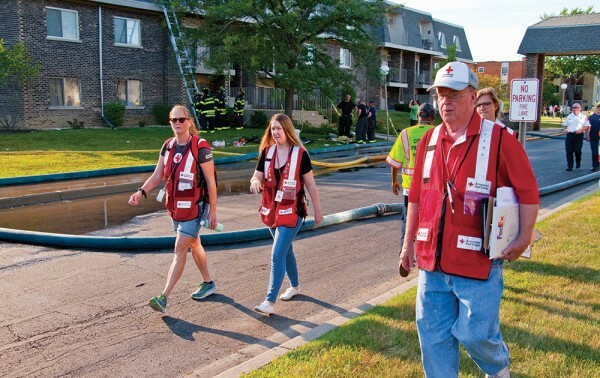 While pursuing her MBA, she became a disaster services volunteer with the American Red Cross of Greater Chicago, offering support to people displaced by a house fire or weather-related event. She even spent 15 days in Florida with the Red Cross assisting with Hurricane Michael aftermath. In this role, she works in teams that form very rapidly and often with people who have never worked together before. Speciale is involved in an extraordinary number of other community projects, some in collaboration with Woodstock Center staff. One of them is a mentorship position with the Woodstock High School INCubator program, guiding students through a yearlong entrepreneurship course. Last May, her students gave a competitive business pitch to a board, and her team was chosen as the winner. In 2016, she was named among McHenry County’s Women of Distinction for being a role model and leader in her community. To learn more about the Master of Business Administration program, visit aurora.edu/woodstock/mba. 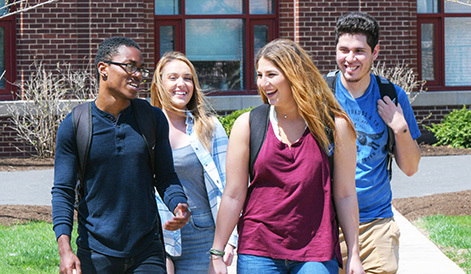 To learn more about the Master of Public Administration program, visit aurora.edu/woodstock/mpa.